Old Creek Farms is a traditional Saline neighborhood only minutes away from the downtown, within the subdivision is Marlpool Park and many other nature areas and parks are nearby too. There are currently 2 homes listed for sale and so far this year, 3 have sold. $265,000. 689 Canterbury Ct., Saline. 1670 sq. ft., + 500 in finished lower level, 4 bedrooms and 1.1 baths. $259,000. 660 Springbrook Ct., Saline. 1803 square feet with 4 bedrooms and 2.1 baths. $280,000. 395 Old Creek Dr., Saline. 1640 sq. 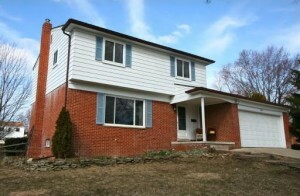 ft., + 650 in finished lower level, 3 bedrooms and 2.0 baths. $279,900. 477 Marlpool Dr., Saline. 1700 sq. ft., + 672 in finished lower level, 4 bedrooms and 1.1 baths. $272,825. 617 Eastlook Dr., Saline. 1640 sq. ft., + 672 in finished lower level, 3 bedrooms and 2.1 baths. Last year at Old Creek Farms, 8 homes sold with an average sale price of $242,050 and an average price per square foot of $148.00. The 3 homes sold this year have an ASP of $277,575, up 15%, an an A$/SF of $167.00, up 13%. To learn more about home values at Old Creek Farms, contact the real estate specialists with The Bouma Group at (734)761-3060 or email info@bouma.com. View more Saline neighborhoods here! 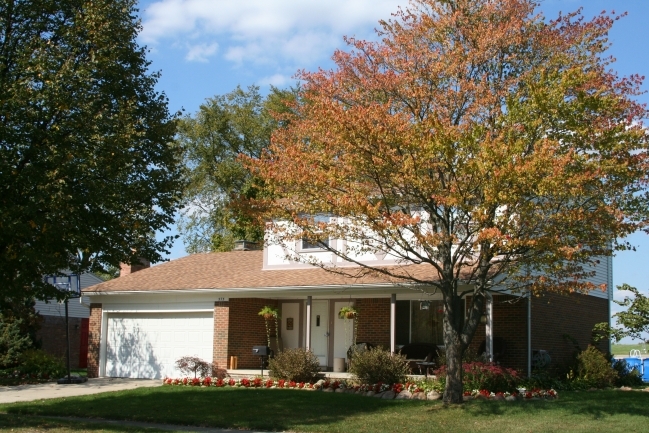 Old Creek Farms is an established Saline neighborhood situated just minutes from downtown Saline and the award winning schools. There are currently 2 homes listed for sale, and last year 5 homes sold. $230,000. 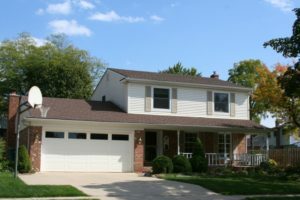 390 Pleasant Ridge Ct., Saline. 1640 square feet with 3 bedrooms and 1.1 baths. $225,000. 681 Eastlook Drive, Saline. 1640 sq. ft. +300 in finished lower level, 3 bedrooms, 1.1 baths. $238,900. 521 Old Creek Ct., Saline. 2020 sq. ft. +672 in finished lower level, 4 bedrooms, 2.1 baths. $230,000. 439 Springbrook Crescent, Saline. 1640 sq. ft. +400 in finished lower level, 3 bedrooms and 1.1 baths. $225,000. 471 Marpool, Saline. 1640 square feet with 3 bedrooms and 1.1 baths. $202,000. 415 Glenbrook Ct., Saline. 1362 square feet with 3 bedrooms and 1.1 baths. $201,000. 610 Eastlook Drive, Saline. 1320 square feet with 3 bedrooms and 1.1 baths. In 2013 at Old Creek Farms, 10 homes sold with an average sale price of $206,000 and average price per square foot of $132.00. In 2014, 5 homes sold with an ASP of $219,380, up 7%, and A$SF of $139, up 5%. To learn more about the Saline Real Estate market, contact us at The Bouma Group today at 734-761-3060 or email info@bouma.com. Start your Saline Home Search now! To schedule a showing for 489 Old Creek Ct, or to learn more about Saline Real Estate values, contact us at The Bouma Group at 734-761-3060 or info@bouma.com!